are going to be held. "Noelle McNeil was thrown from a horse during an equestrian competition on August 2, 2005. At the time of the accident, Noelle was a twenty year old college sophomore, having the time of her life, attending James Madison University, dating a handsome young man, and looking forward to a bright future. Noelle's life was forever altered by this event. She was rendered unconscious, the victim of a severe traumatic brain injury. She clung precariously to life for 14 days in an intensive care unit. 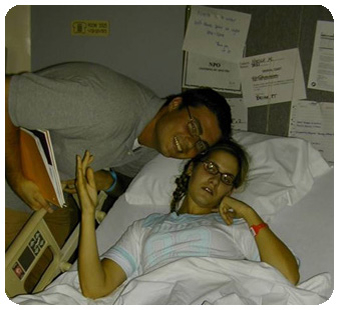 When Noelle did emerge from the coma, she was totally debilitated, confused, and barely able to speak, unable to stand, walk or even swallow. She had to have a feeding tube to receive nourishment. Her prognosis was grim. Noelle was not expected to be able to walk unaided or function independently for the rest of her life. Ninety seven percent of people who sustain this type of injury do not make any appreciable recovery; they are often forced to remain in a hospital type setting for the rest of their lives. Thousands of people prayed for Noelle to recover, their prayers were heard. 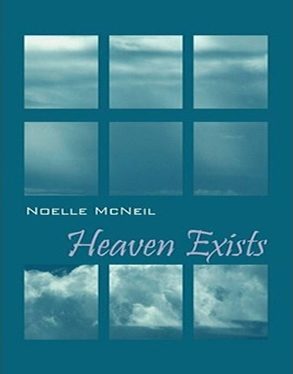 When she did start to speak, Noelle told her family that during her ordeal, she had gone to heaven, and had an encounter with a spiritual being who told her she could return to earth, and that she would recover, but it would take a long time. Noelle thus began her incredible journey, the journey to regain her self. Noelle remained in a rehab hospital for 5 months, and had to work incredibly hard to redevelop her cognitive abilities, and basic skills, like walking. Noelle made extraordinary progress, despite her devastating injuries. Noelle had to pray for strength to overcome the depression that engulfed her once she became aware of the extent of her injury, and again found this spiritual need met.